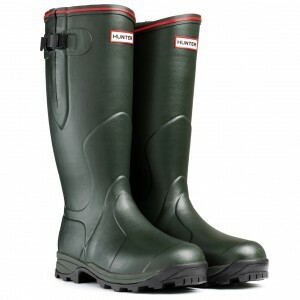 Starting with the lower end of their technical range, the Hunter Balmoral Classic is a unisex boot; made with vulcanised rubber for strength and durability, these boots feature a side gusset to allow for extra leg room or bulky clothing, and also aid you easily taking the boots off, along with a kick spur on the heel. Dual density rubber outsoles provide comfort and support, allowing you to wear these boots all day. The Hunter Balmoral Classic also comes with cushioned insoles for added comfort and gives you the best fit. If you wanted something designed specifically for ladies, the Balmoral Lady Neoprene has the same technical features and construction as the Balmoral Classic, with a few differences. Firstly the boot leg and ankle are slimmer for a ladies fit, while the gusset allows for extra calf room if required. These boots are lined with neoprene which is known for its warm and insulating properties, meaning you can comfortably wear them even in cold weather. The Balmoral Lady Neoprene come with removable 3mm insoles which add comfort, but can also be used seasonally so that you can take them out in winter if you are wearing thicker boot socks. 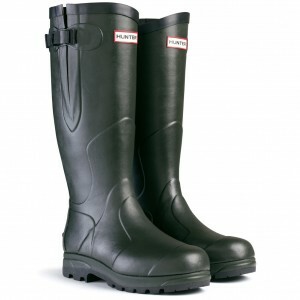 Other Hunter Balmoral Neoprene boots in the range come in 3mm and 5mm thickness, and the is also a zipped boot (pictured). As with the Balmoral Lady Neoprene boot, the addition of neoprene keeps you warm, and also provides a snug fit, making the boots comfortable to wear as they will not slide up and down your leg. The 5mm boot offers greater warmth, if you know you will be spending a lot of time outdoors during colder months. The zipped boot comes with a full YKK zip down the outer of each boot allowing for easy on/off. They also come with a 3mm neoprene lining, making them one of the warmest and most versatile boots in the Hunter Balmoral range. 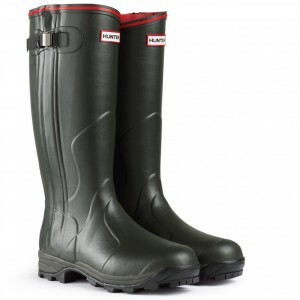 Finally in this range of Hunter Balmoral wellies are the Balmoral Bamboo Carbon Wellingtons. The bamboo carbon lining is known for its high wicking properties, which allows it to wick away moisture keeping you dry and comfortable. Another great feature of this lining is that while it keeps you warm in winter, it actually stays cool in summer so that you can comfortably wear the Bamboo Carbon wellies all year round. 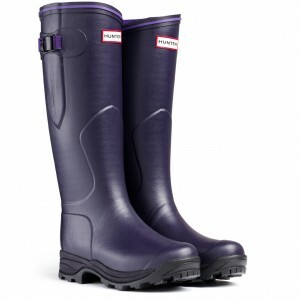 Balmoral Classic, Balmoral Lady, Balmoral Lady Neoprene, Bamboo carbon, Hunter Balmoral, Hunter Balmoral Lady Neoprene, Hunter Balmoral Neoprene, Hunter Neoprene, Hunter wellington boots. Bookmark.